Maybe you’ve injured your smile in a sporting event, or maybe tooth pain has left you wondering if you have a cavity. 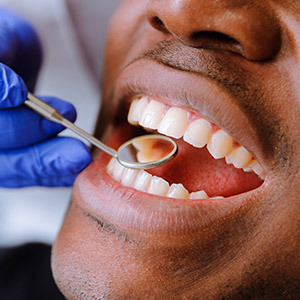 No matter how small or severe your situation is, the Jacksonville Complete Dentistry team is here to help you regain your healthy smile as soon as possible. We offer a wide variety of restorative dentistry services, and our doctors will work closely with you to not only combat the damage at hand, but guide you in preventing these problems from happening again in the future. Contact us today to get started! 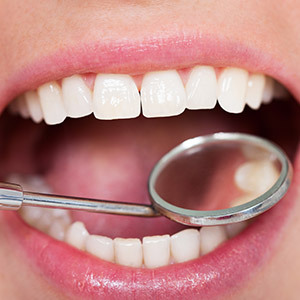 Why Choose Jacksonville Complete Dentistry for Restorative Dentistry? Unlike other parts of your body, your teeth actually can’t heal themselves once they’ve sustained damage. 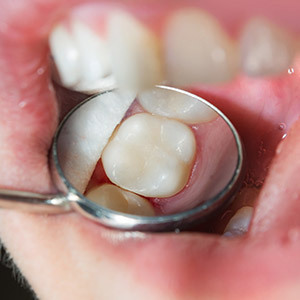 That means that cavities and chips/cracks only tend to get worse as time goes on, leading to even more pain and dysfunction until the tooth finally falls out or has to be removed. Fortunately, pretty much any dental issue can be completely fixed using restorative dentistry, making a problem seem like it never existed in the first place. Do you currently have teeth that are hurt, broken, or even missing altogether? In these cases and many more, a custom-made restoration like a crown or a bridge can work wonders. For instance, a dental crown is designed to cover a singular tooth, both rebuilding its natural structure and protecting what remains of the natural tooth underneath. They’re strong, comfortable, and built to last for several years so that patients can feel confident about their full smiles again. Did you know that nearly 92% of the American population will experience one or more cavities over the course of their lives? This dental problem is a common one, which is why the Jacksonville Complete Dentistry team has modernized their approach for treating them. Instead of traditional amalgam (silver fillings), we use tooth-colored composite resin for a more attractive and more conservative solution that blends right with your enamel. Better yet, its metal-free structure isn’t overly sensitive to changes in temperature! Traditionally, dental restorations like crowns, inlays, and onlays have required at least two appointments of a patient’s time to successfully complete, which isn’t good news for people who have hectic schedules and little time to spare. If speed is your priority, our Jacksonville practice has a great solution! We now offer one-visit restorations with modern E4D technology. Over the course of a single appointment, your brand-new, personalized restoration can be designed, crafted, and placed within your mouth while still maintaining a high level of quality.